Update your cabinets appearance now, with these useful upgrades. New hardware, new hinges, new drawer slides. 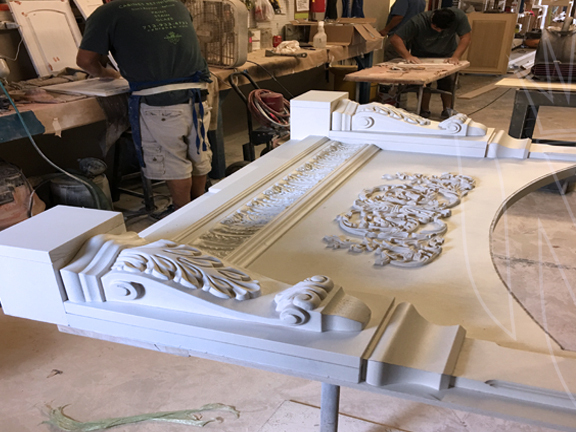 We can design custom crown stacks and combinations, ad reed molding, raised panels. We can design and build custom woodwork additional trim. We can remove your small standard crown. 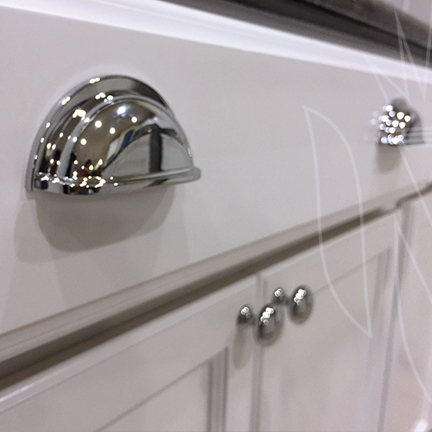 Customize to large crown adding height with different trim combinations, make your cabinets look larger. We can design and build custom Vent Hoods, Arches, Risers all the way to full custom cabinets. This vent hood was designed and built by our staff. We can plug the old holes with solid wood dowel rods. Drill new locations & sizes, changing the entire look of cabinets. If your cabinets have never had hardware, we can professionally install your new hardware for you. This can be done on new and old doors and drawers. If your old drawers are sticking, or don't pull out all the way. 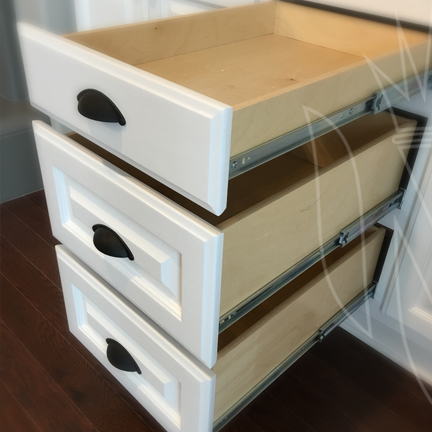 We can upgrade your drawers to full extension soft close. This can be done on new and old doors and drawers.